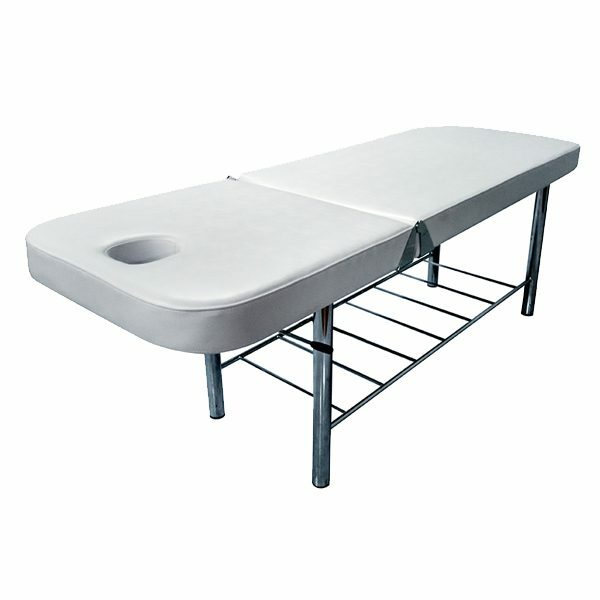 Promote ultimate comfort within your professional beauty salon with the Serenity Massage Table. Upholstered in premium PU vinyl and memory foam for extra comfort. As well as being practical it is highly functional, with plenty of room for storage of towels and other linen on an easily accessible shelf. Multi positional backrest, easily set using the friction bar mechanism. Features also include face hole with insert pillow and stylish chrome legs.